Dubai is the second largest emirate of the UAE that is world famous for many reasons. It is considered as land of opportunities for job seekers and investors who are willing to invest in foreign market. This city offers good chances to make successful investment and let you earn good profits. Especially Dubai real estate industry is one of the most promising investment sectors for foreign investors. As we all know that Dubai’s economy was primarily based on oil, but State government identified importance of other industries and made huge investments in diverse business sectors like construction, finance, travel and tourism. 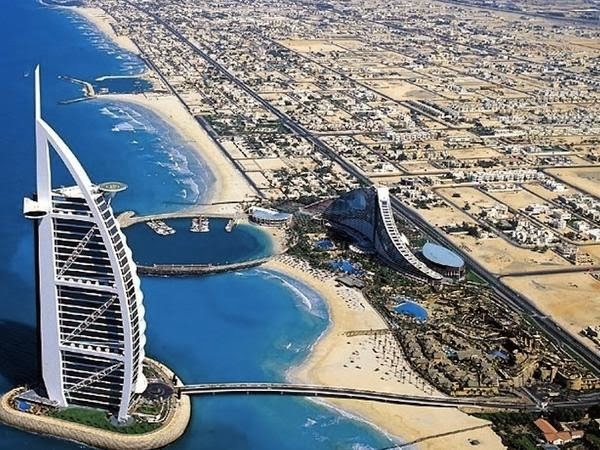 In order to get it categorized among favorite tourism city in the world, Government and developers started taking great interest to build entertainment places in Dubai, shopping centers, luxury hotels, restaurants serving cuisines around the world and cinema theatres. Now this city has buildup its reputation as a favorite destination for tourists and holidaymakers across the world. What Dubai offers for Tourists? This city offers diverse and unlimited activities for tourists and visitors for all age groups. Tourists can find numerous places for their short stay in Dubai. They can find accommodation in luxurious hotels, villas, apartments and resorts according to their likeness and budget. Moreover, tourists can also enjoy tax free shopping in world class shopping malls and traditional markets of the inner city where they can easily bargain on prices. Tourists can also enjoy other fun activities like desert safari, hot air balloon ride, camel racing, cruise ships and bus tour of the city. Besides developing entertainment places in Dubai for tourists, this city also build up world class airport with highly luxurious waiting areas. It is well connected with almost all main cities of five world’s continents of the world. Following are few best entertainment places in Dubai that a tourist can enjoy during his stay at Dubai. 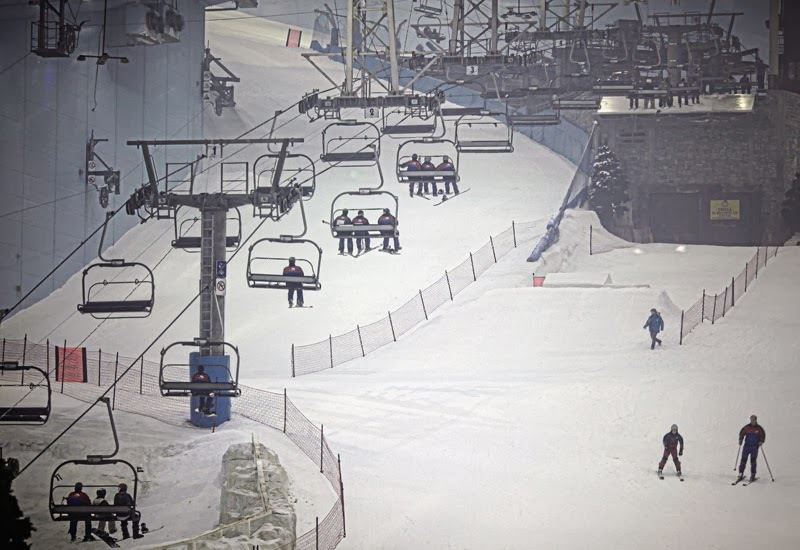 Ski Dubai is world’s biggest indoor ski resort where visitors can enjoy snow all year. It has total 5 runs with different difficulty level. Even an inexperienced skier can enjoy skiing there. Professionals are there to help and guide everyone. Moreover, you will also get complete ski equipment. Dubai Museum is housed in Al Fahidi Fort. It offers visitors to enjoy sights of rich culture and heritage of this city. Entrance of this museum is decorated with great collection of old maps that display urban expansion of the city during 1960 to 1980. You will be able to uncover unique things about desert life, mosques, traditional Arabian homes, fishing, pearl diving and old trading of Arabs. This museum also possess great collection of deadly weapons like swords, bows, spears, arrows, shields, axes and pistols. In other words this place can be one of the best entertainment places in Dubai, where any tourist will have fun. Burj Al Arab is a world’s tallest and most luxurious hotel in the world. It is the only seven star hotel of the world. 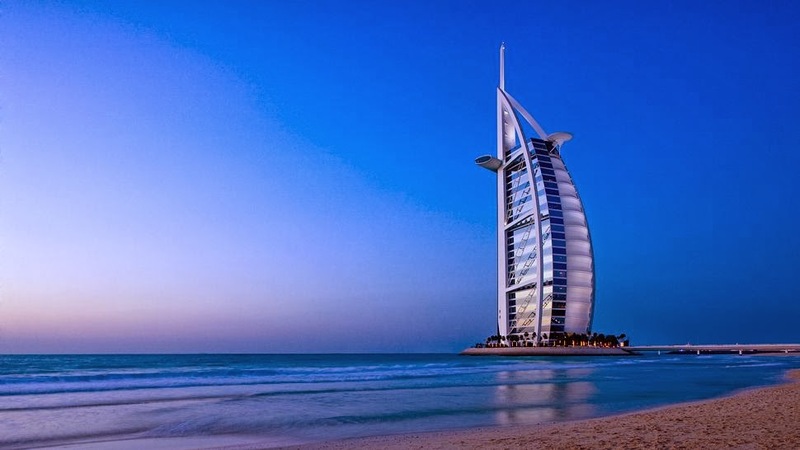 The name Burj Al Arab means “Tower of the Arabs”. It has become an iconic symbol of this city that recognizes this city among other well developed cities across the world. The building resembles to a Dhow (Arabian Sea Vessel). This hotel was completed in five years almost and now it is open for public. It has now become the symbol of this Emirate. It is the real jewel that offers lot of attraction and sightseeing interiors for tourists visiting this place. Wild Wadi Water Park is just an exciting and full of fun place in Dubai that offer real entertainment and fun for kids as well as adult people. This place provides so many things to tourists and visitors that they can spend a whole day here. 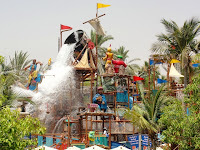 Major fun activities include exciting rides that are based on Arabian Adventure Legends Juha and his friend Sindbad. Another interesting feature of this place is a world famous free fall ride Jumeirah Sceirah. These are few of the famous fun and entertainment places in Dubai that offers real fun and excitement to tourists. There are number of other options and places that a tourist can enjoy according to his mood and availability of time and money. Eventic Zone is a full fledge in-house events and entertainment company with the head office in UAE and branch offices across India. To book new talent or planning to your next corporate event, you'll need the services of an event management company. I’ve been to Paris. And it ain’t that pretty at all. The spots you have mentioned above are amazing places in Dubai. If you go for tour and don't visit these places then your enjoyment is still less.